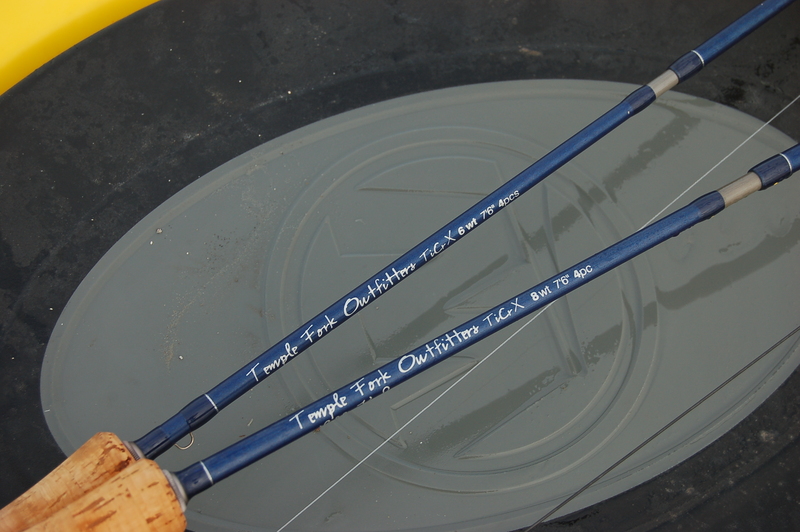 At a tackle show in Houston recently, I had a chance to cast Temple Fork Outfitter’s (TFO) new 7 ½-foot TiCrX fly rods. These rods were designed for anglers who fish in heavy cover and for tournament bass fishermen (most tournament rules require rods to be less than 8 feet long). TFO manufactures these rods in two sizes- a 6wt. (model #676) and an 8wt. (model #876). My first impression of these rods was good. They are equipped with double up-locking real seats, good quality cork, large fighting butts, and oversized guides. They’re nice-looking fly rods sporting the familiar deep blue finish synonymous with the TiCrX line and they carry TFO’s standard lifetime no-fault warranty. But beauty is only skin deep, and as I looked at these short fly rods I was skeptical about their true potential. When it was my turn to cast I grabbed the 6 wt… Much to my surprise, the short 6 wt. was a real pleasure. In fact, the more I cast it, the more I liked it. It was accurate, crisp, adequately forgiving, and altogether a delight. It had the power to lift and carry an impressive amount of line, but lacked the abrupt unforgiving feel I expected. It felt like an extension of my arm, and where I pointed the line went. I was spellbound and just kept punching casts around the parking lot with that nimble little rod until someone finally stepped in and informed me my turn was up. I relinquished the rod, but couldn’t quit thinking about all the fish I could peg with it. I ordered both the 6wt. and 8wt. models shortly after the show, and have put them through the paces under a wide variety of conditions in both fresh and salt water. Time will tell how the short design of these rods plays out, but I can share with you my observations to this point. From the casting perspective, the accuracy and power of both the 6wt and the 8wt. rods is impressive. These are way more than just sawed-off 9-footers. I have fished sinking lines and floating lines on each rod, and cast a variety of flies in windy and calm conditions. Floating lines felt like the best marriage for both rods, although each could handle heavier sinking lines with no problem. Both rods exhibited plenty of deep power to fight fish and neither had a wimpy feel when the heat was on. Each rod balanced well with comparatively light reels. 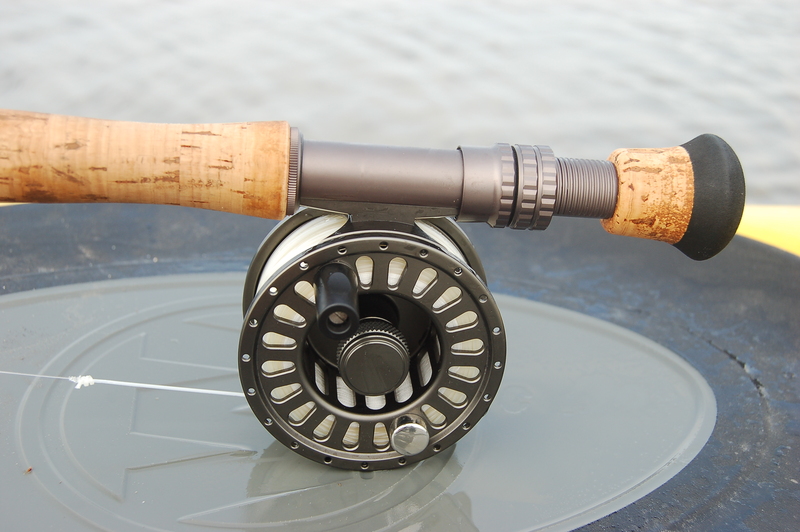 In fact, the 6wt was rigged with a slick little machined TFO 310 and it felt like a perfect match. Overall, in my hands the 6wt. feels cleaner and smoother than the 8wt., but that is purely a subjective observation. I like the 8wt., but I love the 6wt. These rods are easy to handle in a boat, canoe, or kayak. Knocking 18 inches off a customary 9-foot rod allows you to wield them around the boat or beneath overhanging trees with surprising efficiency. 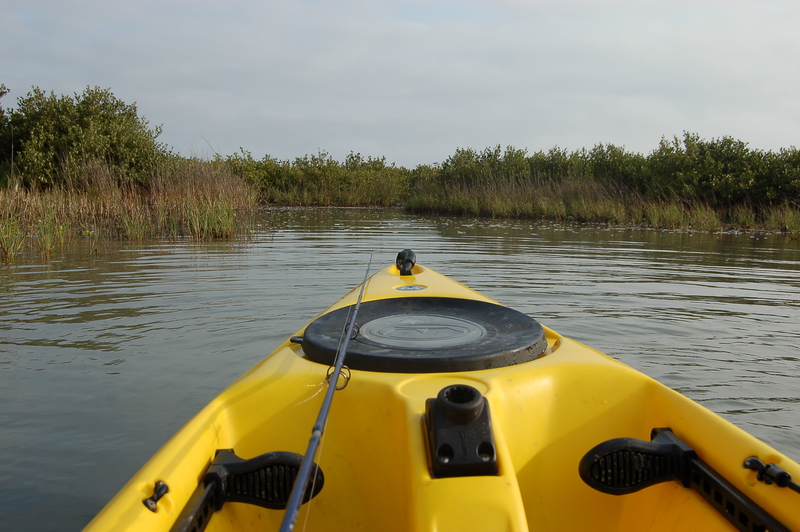 Placed down the center of a canoe or kayak in the “ready position,” they fit cleanly and they don’t poke over the bow. On the downside, if you struggle to cast a 9-foot rod from the seated position in a kayak, don’t expect it to get any better with a short rod. It won’t. One aspect of short rods I already knew, but was reminded of on several occasions is that they require a good core casting stroke. Water-banging backcasts or collapsing loops are tough to recover. Likewise, when casting in the wind or going for distance, double hauling is mandatory. Tight loops and consistent line speed are critical to making accurate casts with these rods. This is something anglers should keep in mind when purchasing one. If you have a good core casting stroke, it is much less of an issue. Perhaps a more important aspect to consider is practicality. 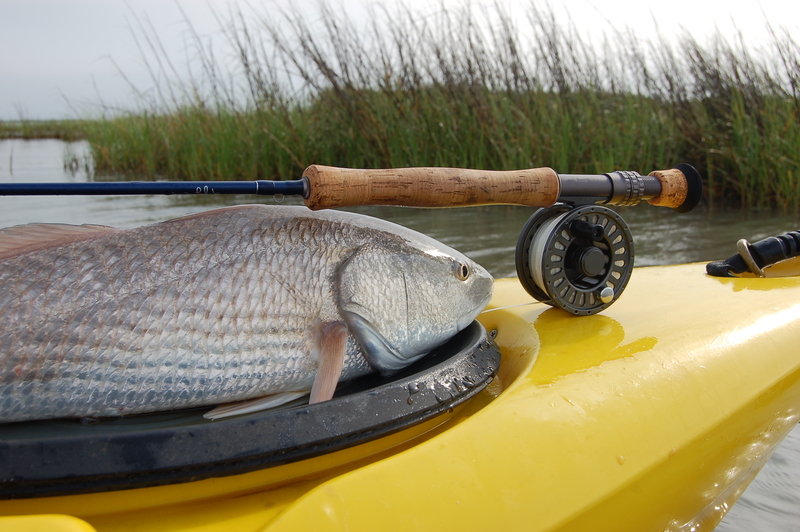 In other words, “Is this rod the best fit for the type of fishing I do.” If you cast primarily over open water from the bow of a flats boat, or fish mostly in the surf or on the jetties, forget it. Stick with the 9-footer. But, if your fishing consists of paddling or poling backcountry creeks and lakes where you punch tight casts in and around cordgrass and overhanging cover, or if you need a fly rod that meets a tournament standard, these rods are ideal. They also excel at river fishing where you are likely to navigate a canoe under trees and around boulders, stumps, and other obstructions. Overall I am impressed with both the 6wt. and 8wt. 7 ½ foot TiCrX fly rods. I liked the feel of the 6wt. a bit more than the 8wt. Each rod worked perfectly for its intended purpose. Neither rod was a good choice for wide open windswept casting, but they weren’t designed for that. Both rods had plenty of backbone to pull stubborn fish out of cover and neither lacked power under pressure. The short design of these rods makes them easy to store and handle in a kayak, but it also limits their ability to recover bad casts. Is a 676 or 876 the right rod for you? The bottom line is practicality. If your angling adventures take you into deep cover where short punchy casts are required, these rods will get the job done. Likewise, if you think you might want to include a fly rod in your arsenal of conventional tackle for bass tournaments, then the TFO 676 or 876 might be a perfect fit.